It was apparent throughout SEC Media Days that Alabama is still the most respected team in the SEC. The Tide is an obvious favorite to win the SEC, but that doesn’t mean there aren’t things that need to be answered. Not all were answered this week in Atlanta. Here are 10 questions that we still have now that Media Days is over. 1. Who is going to start at quarterback? Let’s go ahead and get this one out of the way. The biggest storyline of Alabama’s offseason has been the quarterback competition. Will it be Tua Tagovailoa or Jalen Hurts? 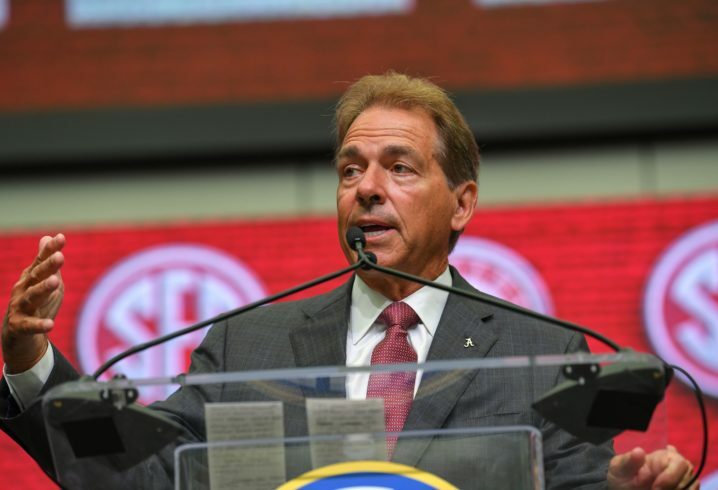 Nick Saban did his best to prevent questions about the competition, addressing the issue in his opening remarks. Still, more questions came than answers. It wasn’t a surprise to see the Tide’s time at SEC Media Days come and go without any real insight. Saban is keeping this one close to the chest, and no one really knows when — or if — he will reveal the victor. 2. How will the carries be split amongst the running backs? Damien Harris was one of three Alabama’s players selected to attend SEC Media Days. The senior running back proved to be a phenomenal speaker. Teammate Ross Pierschbacher even revealed that Harris may have a future in the business. There are some pundits who are pushing for Harris to be given more opportunities. He did only average 10.5 touches per game in 2017, after all. And still gained 1,000 yards for the second consecutive season. Which running back sees a lighter workload in order to make that happen, though? The argument could be made that Najee Harris, Brian Robinson and Josh Jacobs all deserve more opportunities, too. 3. Who will push Alabama the most in the West? There has been a lot of debate surrounding which team has the best chance to steal the SEC West from Alabama. The general consensus is that it’ll be Mississippi State, but Auburn, Texas A&M and even LSU are in the mix. Do any of those teams truly have a chance? Alabama gets all of them at home except for LSU, which is considered the biggest long shot of the four teams. It’s starting to seem more and more likely we’ll get an Alabama-Georgia rematch, this time in the SEC Championship Game. 4. 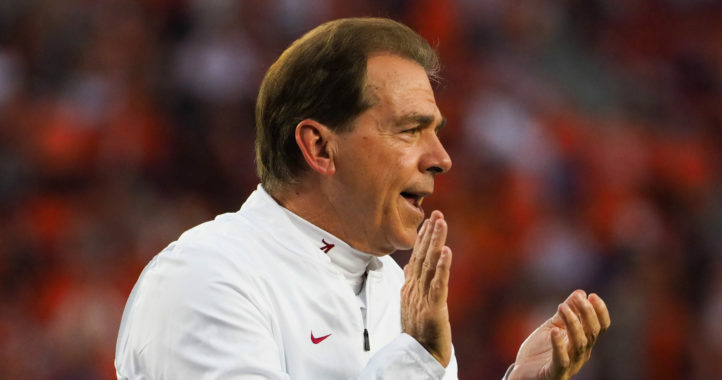 How long will Nick Saban be the coach of Crimson Tide? Saban is 66 years old. He turns 67 on Halloween, which has left a lot of people wondering how much longer he’ll be the man in charge of the Crimson Tide. According to Saban, it’ll be awhile. I really enjoy what I’m doing right now. As long as I’m healthy and can do it, I’m going to continue to do it and not worry about any numbers, what my age is or anything like that. Let me say this: Miss Terry does not want me at home. I can tell you that. She doesn’t care if I’m 60, 70 or 80. So she’s looking for something for me to do. The question now becomes: How long will this train keep going? 5. Is Alabama’s defense in trouble with the losses at linebacker? First, it was the dismissal of sophomore linebacker VanDarius Cowan. Then, star outside linebacker Terrell Lewis tore his ACL. That’s two major losses, and it doesn’t stop there. Saban confirmed Wednesday that Keith Holcombe would be focusing solely on baseball this season. After the senior linebacker struggled against Mississippi State last year, fans might not look at this loss as significant. Holcombe’s departure makes three linebackers who won’t be available in Week 1. It’s not even August, and Alabama already is dealing with depth issues at linebacker for the second year in a row. 6. How will a lack of experience in the secondary affect the defense? It’s not just the front seven that’s going to affected by the losses at linebacker. The argument could be made that it’ll be the back half of Alabama’s defense that’ll suffer the most. The secondary is dealing with experience concerns — safety Deionte Thompson and corner Trevon Diggs were the only two returning players who earned a start in 2017. The talent, including 5-star Patrick Surtain Jr. and JUCO transfer Saivion Smith, is there. But could a lack of experience — combined with the injuries in the front seven — cause the team to stumble early? 7. Which freshmen have the best chance to start? Several true freshmen will play. A change to the redshirt rule all but guarantees that. We’ve already mentioned players such as Surtain Jr. as guys who could see a significant role, but who else has a chance to work their way into a starting job? Skyler DeLong, a 3-star punter from Fort Mills, S.C., is a good bet with JK Scott gone. Some others to look out for are WR Jaylen Waddle and DT Vita Musika. 8. Did the coaching staff get better after all the additions? Alabama’s coaching staff had an extreme makeover this offseason. The team lost OC Brian Daboll (Buffalo Bills OC), DC Jeremy Pruitt (Tennessee HC) and several others. That could work in the Tide’s favor, however. Saban was very complimentary of coaches who are in new roles (Mike Locksley and Tosh Lupoi) and new additions to the staff (Pete Golding). 9. Who starts at kicker? Alabama fans understand the significance of this question. After several seasons of struggling to find a consistent kicker, the Tide are looking to shore up the position by having redshirt freshman Joseph Bulovas and Temple grad transfer Austin Jones battle it out. As much as people have grown accustomed to seeing Alabama dominate, the kicking game is one area that could stand to see improvement. Alabama could have won the national championship in regulation, remember? 10. Will Hurts transfer if he loses the starting job? We started with a question about the quarterbacks. It’s only fitting that we end it with another. There are a lot of people who predict Tagovailoa will win the starting job. One reporter asked Saban if Hurts would even be on the roster for Week 1. Well, I have no idea. I expect him to be there. I think it’s our job to give both players a very fair opportunity to have a chance to win the team at their position. As several people have pointed out, most notably Saban, if Hurts doesn’t win the job, he could elect to stay through December and the move on as a grad transfer. “How will the carries be split amongst the running backs?” It’s going to D. Harris and the others. 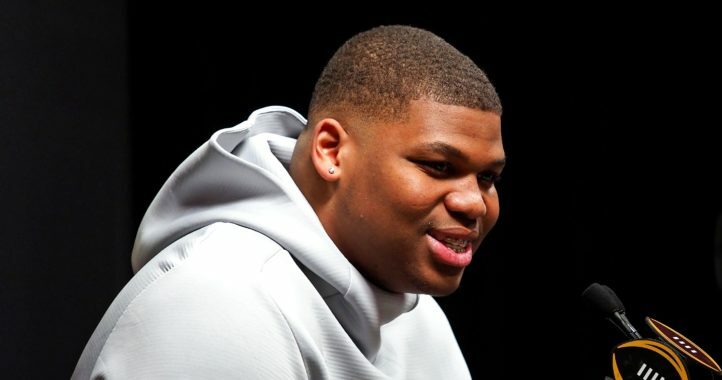 I actually know people who believe Najee will start day 1. Well, I don’t think it matters who starts. I do believe Damien will start, but Najee will probably end up with the same number of carries.